Live Hart has dubbed her style of music as “alternative soul.” It’s an apt description for an artist whose vocals and musicality stretch well beyond the typical soul or R&B genre. 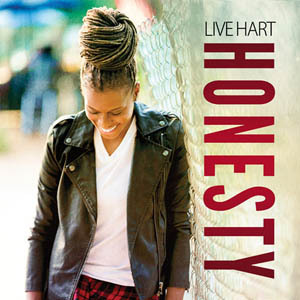 There are shades of rock, pop, classic soul and even folk all wrapped up in a silky smooth package that Hart uses to her advantage on her new album, Honesty. The first track, “I’m Gone,” boasts a vocal line that feels jazzy, folky and neo-soul in nature, accompanied by some pretty fabulous guitar work. It’s just the kind of song that lets you know your preconceived ideas might be completely blown out of the water. “New Day,” similarly, builds upon that idea with a positive message and a compelling lead and background vocal textures. “Take Me” and “We Can Change (The World)” are easy picks for potential hits, both relatable and universal in their subject matter and just the type of positive truthtelling that creates and keeps fans. “Summer Love,” however, may be the most catchy and ready-for-radio track on the album. There’s an instant charm, with a light vocal and instrumental touch that just slides from note to note with ease. It sounds exactly like it feels to stand in the sunshine of a summer love. Live Hart is an artist to watch. She’s true to herself, and the songs included here on Honesty come from a place of authenticity. 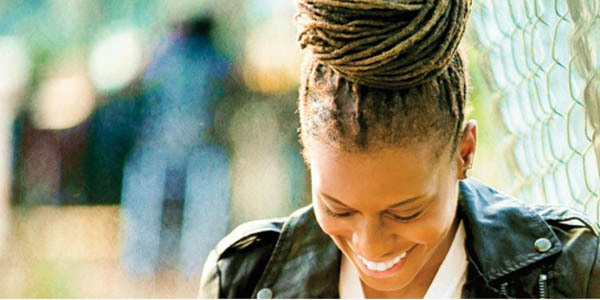 The richness and versatility of her songwriting is impressive. This is, in all Honesty, an exciting and wonderfully unique and polished debut album that speaks volumes about Hart’s depth of talent.